The latest episode of the Canadian comedy series Schitt’s Creek has been met with praise by viewers for how it tackled a key character’s coming out moment. In “Meet the Parents,” the 11th episode of the show’s fifth season, David (played by the show’s writer and co-creator Dan Levy) decides to throw a surprise birthday party for Patrick (played by Noah Reid)—his partner in both business and life, inviting his parents along. But little does David know, Patrick has not yet come out to his parents. 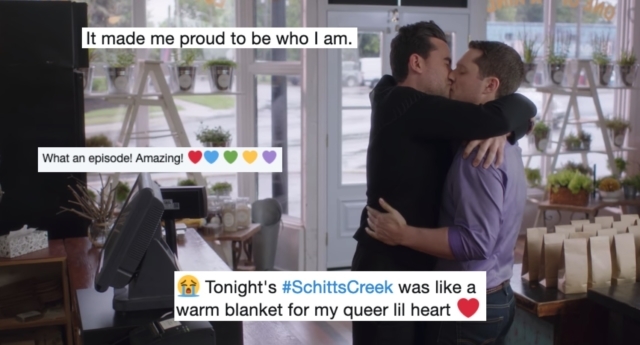 The Schitt’s Creek episode explores Patrick’s concerns about coming out, and David’s support in helping him be his authentic self. The response was overwhelmingly positive. Schitt’s Creek viewers have been raving about the “Meet the Parents” episode ever since it aired, calling it “amazing,” “beautiful” and “emotional” among other praise. “Best. Episode. Of any TV Show anywhere. Ever. Patrick coming out to his parents will be a source of comfort for those struggling with the choice of how and when to come out,” one person commented. A list of resources for those struggling with coming out was also added to the end of the episode—and later shared from the Twitter account for the show on Pop TV. 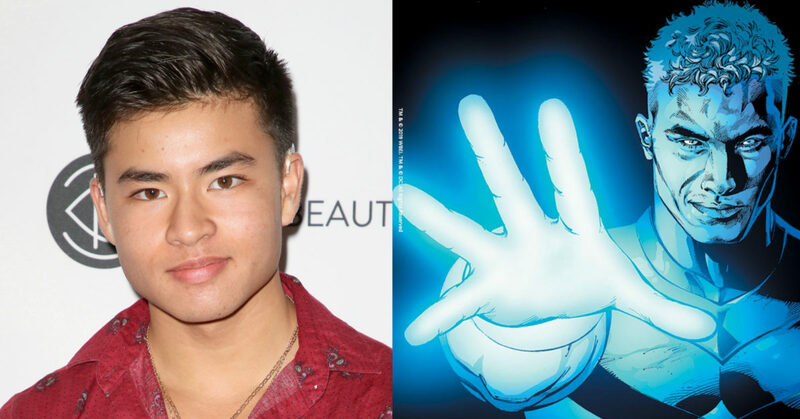 Reacting to the episode, some people shared their own coming out stories on social media. “I want you to know how much that tonight’s episode really touched my heart. I am sitting here with my 89yo mother wishing my father was still alive to see it too. I came out to them at age 30. It was a stressful time and thankfully things turned out well,” one viewer wrote in a Twitter thread. Discussing the episode in an interview with Entertainment Weekly, Levy said it was important to him that Patrick’s parents weren’t homophobic. Reid, who was interviewed alongside Levy, noted that the show’s writers are among the few to treat queer storylines as they would any other type of relationship.